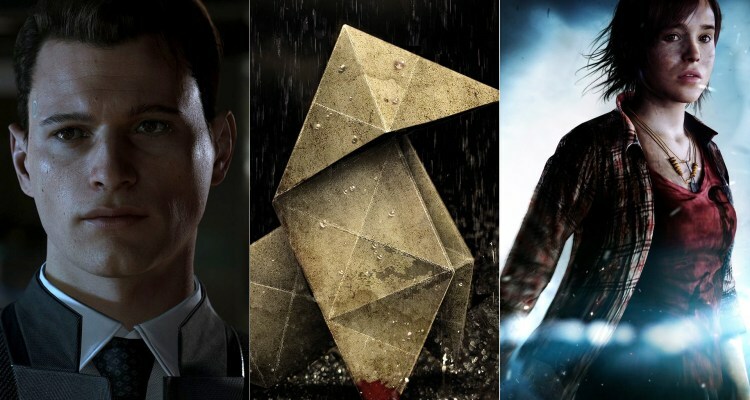 After the surprising announcement of Heavy Rain, Detroit: Become Human and Beyond: Two Souls for the PC Platform, all exclusive to the store of Epic Games. Quantic Dream has published the minimum and recommended system requirements of the three titles that – strangely – are the same for everyone. Maybe it’s a placeholder, maybe not. In any case, we will keep you updated in case they are updated. What is striking is that, contrary to Heavy Rain and Beyond, Detroit will use the Vulkan API. In Heavy Rain you play with four different characters in this distressing psychological thriller. Be careful when you take your next step, because your decisions can have serious consequences. A four-day hunt for mystery and suspense in search of a murderer known only as the “origami killer,” nicknamed for the folded paper figures he leaves behind in the scenes of the crimes he commits as a macabre cover letter. The four characters follow their own clues and have their own motivations. You will direct their actions and prevent the killer from taking on a new victim. The end of this story depends entirely on you. Beyond: Two Souls is a unique psychological action thriller with performances by Hollywood stars Ellen Page and Willem Dafoe, Beyond: Two Souls ™ will take you on an exciting journey around the world as you embody the unusual life of Jodie Holmes. Jodie is different, because she was born connected to a mysterious entity endowed with incredible powers. Your actions will decide Jodie’s fate as she faces awesome challenges, dangers and a heart-wrenching loss during the journey to uncover the truth about her identity. In Detroit: Become Human technology has advanced to such an extent that humanoid androids are everywhere. They talk, move and behave like human beings, but they are nothing more than machines that serve people. Play with three different androids and see a world on the edge of chaos (maybe our future!) Through your eyes. Your decisions will have a radical effect on the exciting branching narrative of this game. You will face moral dilemmas and decide who lives and who does not. With thousands of decisions and dozens of possible endings, how will you influence the future of Detroit and the fate of humanity?